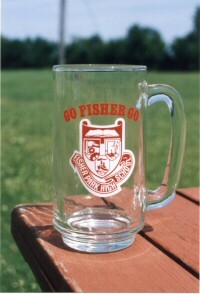 During the 2014 reunion, some amazing golf shirts and hats were launched with amazing replicas of the original logo for the school, as well as the “Fisher Forever” logo. These items are in short supply and will be available soon through the website. This new FPHS golf shirt is a light, easy wearing and simple to wash golf shirt with matching flat knit collar and heat seal label fabric. The 100% polyester pique fabric features moisture wicking, is antimicrobial, and UV protection performance. This is the logo on both the black and white version of the shirt. It is a high-quality embroidering that washes well. The highly detailed FPHS crest was rebuilt by an artist for the shirt, and is tightly embroidered giving a high level of detail and beautiful quality. We tested the shirts in the wash and they clean beautifully and hang dry in a short amount of time. The shirts are available in black or white, both with the red and white FPHS label, and a wide variety of sizes. 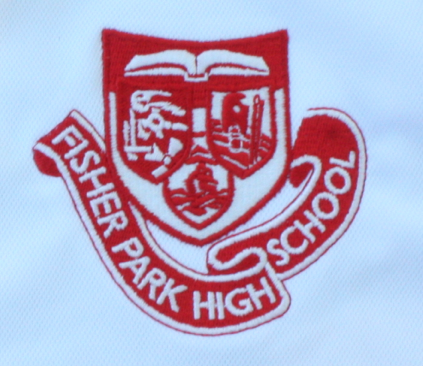 This logo, which is the Fisher Park High School shield, features the years that the school was open – 1949 – 1987. 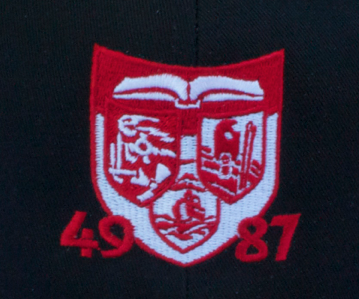 The ball caps are available in either black or white, and feature an embroidered 49-87 (the years FPHS was open) crest on the front (see to the right), with the stylized ‘Fisher Forever’ wordmark embroidered on the back (image below). Caps are made of a high-quality, breathable cotton/poly mix, and are adjustable – one size fits all. FPHS ball caps are available for $17 each or $30 for two (get one in each colour!) plus shipping. 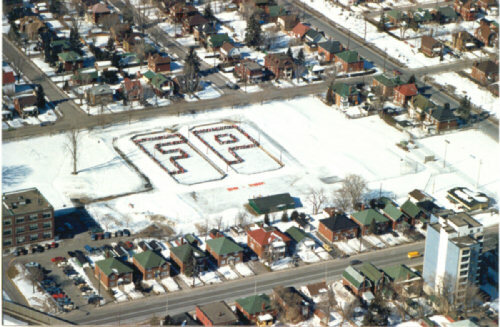 The featured image on this post includes a shot of the front of the hat, as well as the FPHS logo on the shirt. The shirts are 100% polyester, dry quickly, have a matching collar, and a beautifully embroidered logo. Several grads mentioned they did not see these shirts, but would like one. Please note quantities are limited but they are for sale for $25. This is the word mark on the back of both the black and white cap, as with the front logo, a high quality embroidering directly onto the rear of the fully adjustable, one-size-fits-all cap.